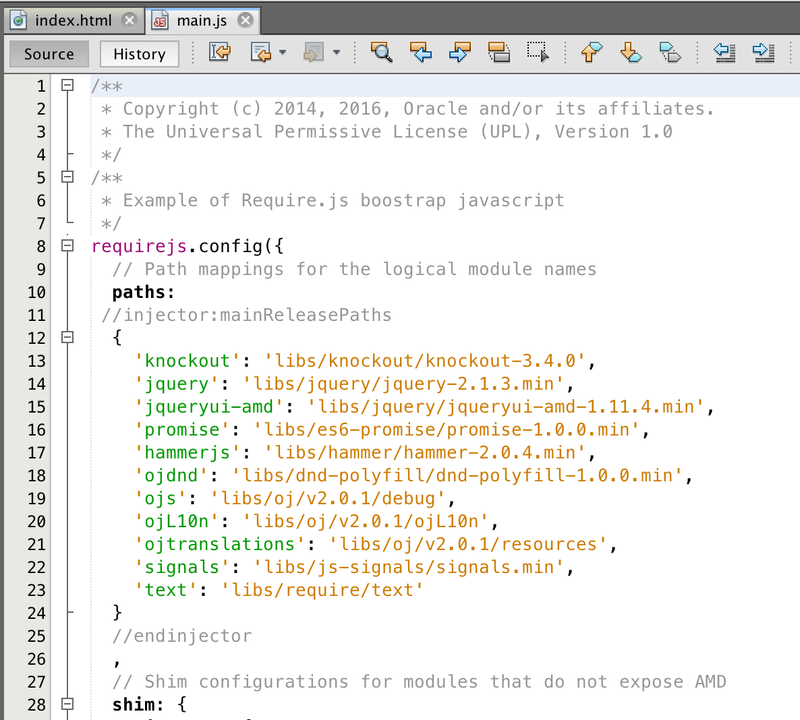 Oracle JET 2.0.1 was released in April and I decided to upgrade my CRUD sample (based on ADF BC REST services) implemented with previous JET version. There is migration guide, describing main points to consider, while moving to the next JET version. I'm going to add few more points. Hopefully you will find it useful. Update method was changed to handle ADF BC validation error in slightly different way. I'm showing error first and next resetting collection data - to return original value into the table. Download sample application - JETCRUDApp_v6.zip. 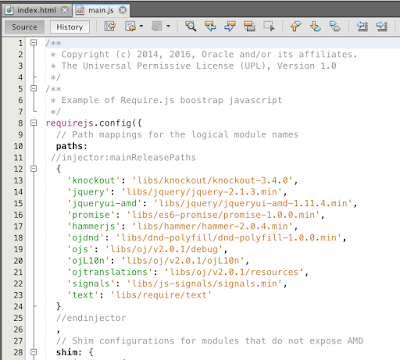 I feel netbeans is good tool for oracle jet rather then jdeveloper 12c . Please suggest your opinion. What's the performance of this compared to ADF tables. Would it be worth the switch? Well, performance is better - it is client side. But you cant expect same level of developer productivity. ADF is good for large enterprise systems. JET is good for smaller and public facing apps.